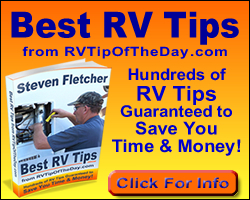 RV Batteries - How long will a charge last? RV Batteries - What's draining my battery? RV Fresh Water System - Care and Maintenance. Emergency Road Service - Do you need it? Fifth Wheel Unhitching - it almost happened to me!